Today, when you order "#Augmented (Gimmick and Online Instructions) by Luca Volpe and Renato Cotini", you'll instantly be emailed a Penguin Magic gift certificate. You can spend it on anything you like at Penguin, just like cash. Just complete your order as normal, and within seconds you'll get an email with your gift certificate. Order in the next 1 hour 21 minutes and it will ship TODAY! 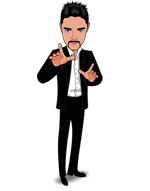 It's totally different from all products in magic and mentalism because it is customized to your personal business card or logo. 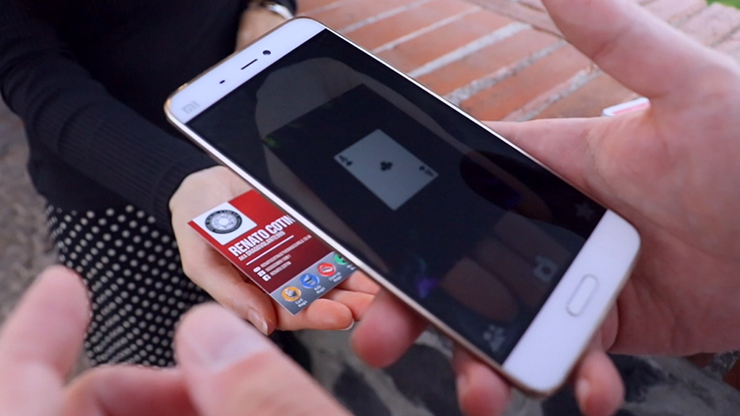 The effect is so simple and so strong: you show your business card to the audience, you pick up your phone (Android or IOS) and open the camera. You aim the camera at your business card. Amazingly, the screen image begins to change into a 3D animation to become a card, a word, a number, or whatever you desire! #Augmented is a real reputation maker and works with your business card, so the effect is unique to you! Once you purchase the kit, you will find instructions for how to send a photo of your business card (or your logo or whatever you want to animate). Simply select one of our 5 templates for what you want to "reveal." In a few days, our tech team will render the animation for you! Then download the app and use it - it's that simple! The possibilities are infinite: you can use a tablet connected to a wide screen on stage, you can perform the impromptu effect on the street using just your phone, or you can use your logo while shopping on the Internet to reveal something on your computer screen! Many customizations are offered free in the rendering process: you can have the app open your website automatically when the animation is over, or you can take an instant screenshot during the revelation. The spectator selects a card. 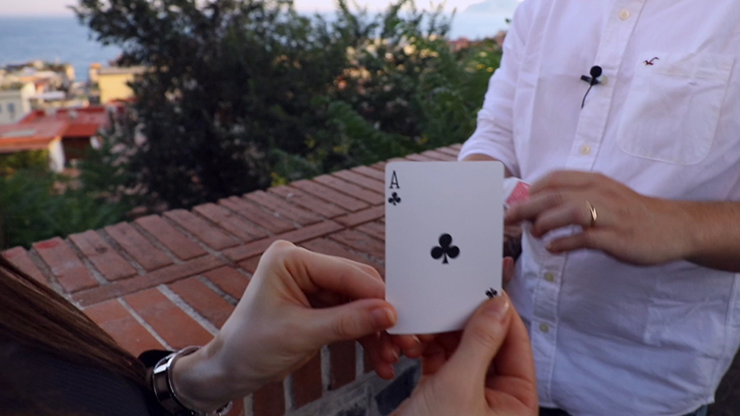 You place a different card on his hand, and watch it change into his selection through the camera phone! Create a symbol and watch it transform into the spectator's chosen drawing! A random word is selected and then revealed on a special card that is included in the package. 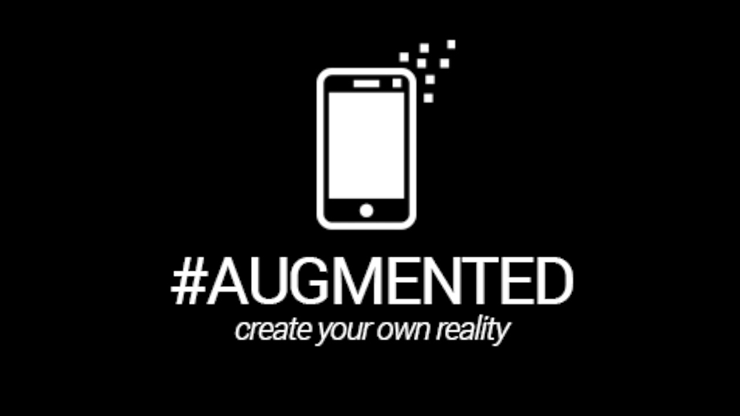 #Augmented is the new generation of magic and is quite inexpensive. You can have a customized routine that would normally cost hundreds of dollars - now for just $45! #Augmented is the only custom-made tool that will help you to reach your audience in a unique and original way, so that they will never forget you! Discover the secret that will guarantee you repeated bookings! Remember, this is a custom-made service that will be created for your own graphic design! Limited to 150 kits worldwide! What a great product! And a fun way to give your buisness card to a potential client. I love it! This is really wonderful effect. It is very nice addition to my business card and I enjoy it a lot. The quality is excellent and the app works perfect. A private VR for such a price is something you should not miss! Well done Renato! This is a great routine that leads a lot of business contacts! I perform this at every corporate gig! 5 stars!! I absolutely love this trick. You get a total of four revelation for the price of $43. Three of the revelations are pretty nice mentalism effects. But what makes this trick the must buy of the year for the best way to hand out your business card with a high tech twist. I use my iPhone but this also works on Android. I was amazed on how fast I got my custom made animation. For the custom revelation you have a choice of five different custom choices. Any card can be chosen, A limited choice of two different numbers can be chosen, any word, or a limited choice of a movie title or a choice of two different clock times for a clock revelation. I chose the any card option. But if your a mentalist you could choose any word. That could be used as a stage effect using an iPad on a book test trick. Very versatile. I love this trick. 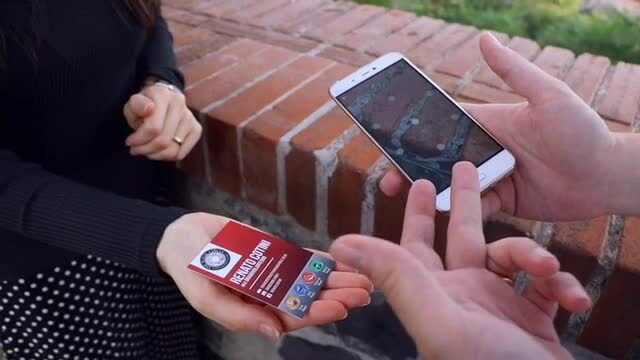 This uses Augmented Reality uses a custom logo or business card. To hire someone to do this for you could cost hundreds of dollars. 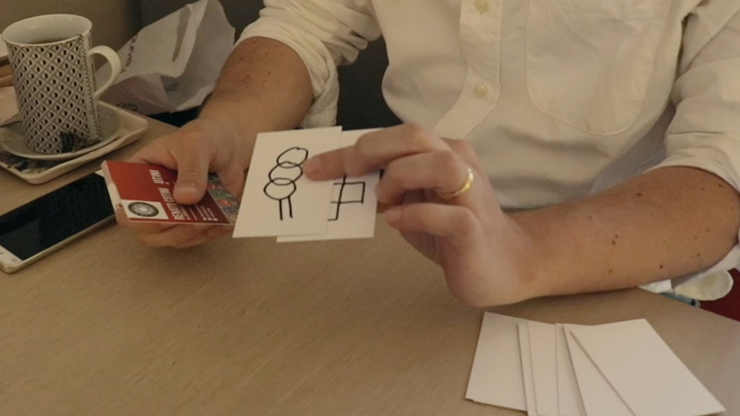 This is a very inexpensive way to create an AR animation that only works on your business card for under $50. Great use of magic technology. Update to my earlier review. You actually get three bonus tricks. Make this a five star. It is very different from anything on the market today. It is very practical and you can get creative. I gave it for stars only because you only get two revalation s for the price. But they are very cool.